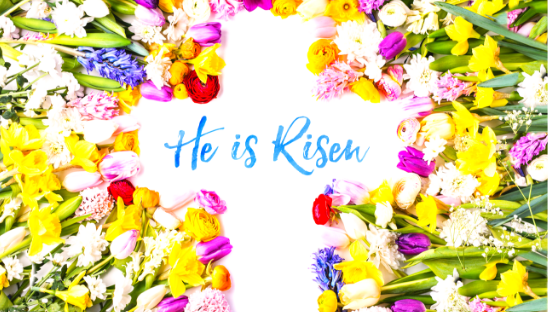 Sunday April 21, 10 a.m. (no Sunday School) Parents are asked to gather their children from the nursery prior to the Easter Liturgy so we may all worship together as a complete congregation. Remember to bring fresh flowers and greenery on Easter morning. A large wooden cross, wrapped in wire, will be in the sanctuary. Come early and arrange your natural spring bouquet on the cross before worship.